According to statistics near the end of 2017, small businesses overall are still not overwhelmingly convinced of social media’s value. That’s unfortunate. Social media has proven itself worthy as an effective marketing tool. Small businesses that don’t embrace its potential miss out on prime opportunities to increase brand awareness, generate traffic to their websites, and increase sales. 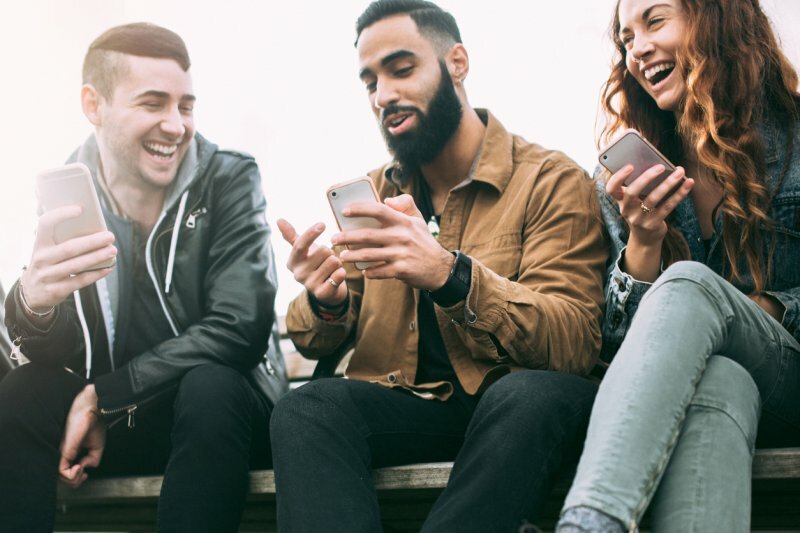 No matter the size of your company or the industry you’re in, social media can help you thrive in an increasingly competitive and tech-savvy marketplace. Eight-one percent of the U.S. population has a social media profile, and 74 percent of shoppers make purchase decisions based on social media. Also, social media has an SEO impact. The 2017 Local Search Ranking Factors survey by Moz found social signals to be one of the top search ranking factors. How can you make social media a win for your company? Consider the following tips to make your small business social-savvy. 1. Choose the right platforms for your business. Sign up for only what you can handle (or afford to have a professional handle for you). If your social media accounts exist but are inactive, you risk looking out of touch. Consider who your target customers are and which platforms they use. Also, think about what your business has to share. For example, Pinterest and Instagram are highly visual platforms, so if your product or service is especially photogenic, you might gain a lot of traction using those platforms. 2. Complete your profile information. Nobody wants to follow an account that uses the default egg as its profile photo on Twitter or otherwise has an incomplete social media profile. Upload quality images, write engaging descriptions of what your business offers, and make sure your NAP (name, address, phone) information is accurate and consistent across your social media platforms and online directory websites such as Yelp and Citysearch. SEO experts believe that Google uses NAP information to assess the validity of businesses. If your NAP info is inconsistent or incorrect, you might rank lower in search results, or Google might display the wrong information about your business. 3. Maintain a uniform brand voice. Just as you do in all of your marketing communications, maintain consistency in how your brand presents itself on social media. Consider how you want people to perceive your company—e.g., laid-back, professional, trendy, humorous, avant-garde, traditional, etc.—and strive to craft posts that are in sync with it. You can mix things up now and then, but being all over the place with your brand demeanor might confuse followers about what they can expect from you if they become your customers. Act strategically rather than reactively by creating a content plan for your social media channels. It need not be elaborate, but it should at least map out the key topics you want to address and identify if any of it is time-sensitive. Consider seasonal issues that are important to your followers and your business’s upcoming activities over the next month or quarter. Then draw themes and topics from them for your social media posts. By having ideas in hand rather than scrambling to figure out what to share each day, you’ll find yourself less likely to neglect your social media. 5. Use a social media management tool to make posting regularly less of a chore. Tools such as Hootsuite and Buffer allow you to schedule social media posts across multiple platforms. They can save a lot of time because you don’t have to log into each of your social accounts separately to post every time you want to make an update. 6. Post interesting and helpful content. Resist the urge to self-promote excessively in your posts. Strive to create content that interests, informs, educates, and entertains your followers to build trust and awareness of your expertise. It’s OK to promote yourself some of the time, but you will risk turning off potential customers if you do it frequently. Post regularly to help keep your brand in front of your followers. Also, acknowledge when people tag your social media pages or share your content with their followers. This builds goodwill with your audience that can translate to more interaction on an ongoing basis. It can ultimately help your brand stay visible on social media, too, because platforms’ algorithms use audience engagement as a factor for determining what content to show (and not show) to users. 8. Take touchy conversations off the grid. How you handle negative feedback and comments on social media can mean the difference between appearing uncaring and defensive or responsible and helpful. When someone posts a critical remark or airs a complaint on social media, respond to the grievance and then take the conversation to either a private message, email, or phone call to resolve the situation. Never argue with a dissatisfied customer online; it will only fuel the flame of discontentment and create a social media cage match that will hurt your professional reputation. 9. Use hashtags to boost your brand’s visibility. Especially on Twitter and Instagram, hashtags can help you increase the amount of attention your social media content draws. Hashtags, when used appropriately, categorize content so that it’s easier to find online. If you want to learn more about using hashtags on the various social media platforms, I recommend reading the helpful hashtag guide created by Sprout Social. Social media platforms constantly adjust their algorithms in the name of a more satisfying user experience. Gone are the days where you can expect most of your followers to see your posts. Consider budgeting some dollars for paid advertising to help your business stay prominently on the radar. Fortunately, the costs to do so are relatively low and more targeted compared to other forms of advertising. Announcing a contest on social media can get people talking about your brand and draw new followers. Before proceeding, educate yourself about the website’s rules for promotions and contests, and consider asking your attorney to review what you plan to do to ensure you don’t make any legal missteps. 12. Regularly update your cover photo on Facebook. Because most of you probably have Facebook business pages, I want to mention this Facebook-specific tip. Whenever a business page changes its cover photo, its fans get a notification. So, by updating your cover image now and then (perhaps to one that’s seasonal, reflects a new product or highlights an event), you can ensure your brand becomes top of mind. Is your business embracing it as such? These tips are a small sampling of what you can do to help your business stand out on social media and take advantage of its word-of-mouth benefits. For more ideas about how to improve your results and stay in the know about the latest social media changes, consider following a few of the marketing blogs that focus on helping businesses succeed in their social media efforts. 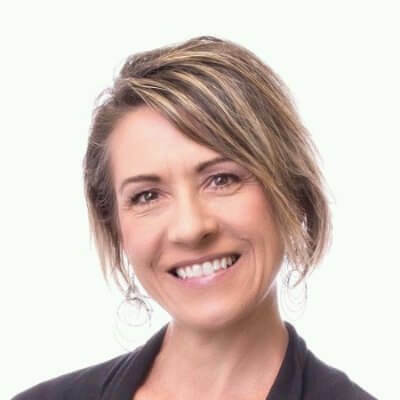 Dawn Mentzer is a contributing writer for Straight North, one of the leading Internet marketing firms in Chicago that provides SEO, PPC, and web design services. As a solopreneur and freelance writer, she specializes in marketing content—and collaborates with clients nationally and globally.